Located in the historic Italian Village neighborhood, between The Ohio State University and downtown Columbus, Ohio. 933 Hamlet Street, Columbus, Ohio, 43201. Founded in 1968 as a preschool for St. Joseph Academy. Established in 1977 as a private, Diocesan school for preschool through 8th Grade. Designated as a 501 (c) 3 nonprofit organization, governed by a Board of Trustees and led by a Head of School. Affiliated with American Montessori Society (AMS), Columbus Catholic Dioceses, National Catholic Educators Association (NCEA). The US Department of Education Blue Ribbon Award honors schools which have achieved high levels of performance. St. Joseph Montessori School has won two of them, recognizing it as one of the top 5% of elementary schools in the United States. SJMS students again placed very well in the Power of the Pen competition. The District Tournament was lead by an SJMS student out of 240 total and the seven of our students who progressed to Regional all performed well. Congratulations everyone! Our MATHCOUNTS Club achieved Gold Level Status again this year, effectively wallpapering our upstairs hallways with Gold Level banners. This is the highest achievement possible in MATHCOUNTS (aka The National Math Club). At time of print, SJMS is only one of three schools in Ohio to achieve Gold Level Status. 15 Ohio schools achieved Silver Level..
At the Power of the Pen Regional Competition this year, a team of 7th and 8th graders from St. Joseph Montessori School competed against 196 writers representing 36 schools. One student from both the 7th and 8th grade teams qualified for the state tournament at the College of Wooster. The 7th grade student also achieved a perfect score and placed first in each of the writing rounds, resulting in an overall first place among all 7th grade writers in the Region! St. Joseph Montessori School was chosen as one of only two schools in Central Ohio to participate in the annual Columbus Dispatch Children’s Book Survey panel. Our student judges, as part of a panel of 24 adults and 23 children, critiqued and recommended hundreds of books published in 2014 which were then compiled in the year-end Dispatch 2014 Children’s Book Guide. 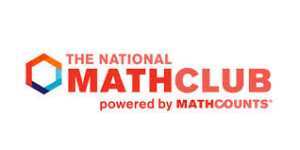 For the third year in a row, our student members of the National Math Club received Gold Level Status which is the highest level to achieve. Our members consisted of students from 6th, 7th, and 8th grade. St. Joseph Montessori School was one of only 5 schools in Ohio to achieve this feat!